Irish politics and society is changing and Sinn Féin needs to be at the fore of driving that change in order to build a new, united Ireland, Sinn Féin President Mary Lou McDonald has said in her address to the Sinn Féin Ard Fheis 2018 in Belfast. 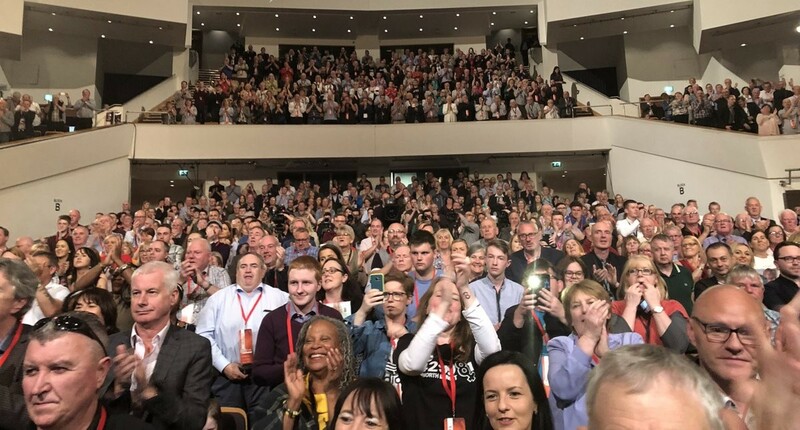 The Sinn Féin leader delivered her Presidential address in front of thousands of republicans in Belfast's Waterfront Hall at the end of the two-day party conference. It was the culmination of two days of speeches and debate involving elected representatives and activists from across Ireland, as well as international guests. 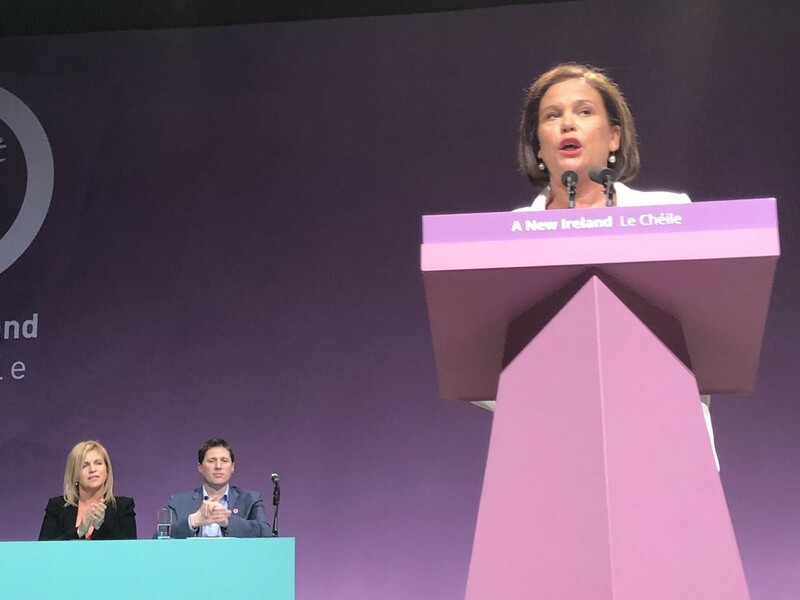 Mary Lou McDonald told delegates that Irish society is undergoing huge transformation and Sinn Féin is providing leadership for a new, modern Ireland based on equality, good government and a progressive, inclusive society. "We are living through times of great change," she said. "The old certainties are gone. The perpetual unionist majority in the north is no more. The two and a half party system in the south has been consigned to history," she said. "Leadership is shifting to a new generation. We have the opportunity to reclaim Ireland for all our people, in all our diversity and difference. "Realising our potential – 'getting it done' – that responsibility lies in our hands. What we do today will make Ireland better tomorrow. "The new Ireland isn’t some far off aspiration, some unattainable dream, its foundations must be laid in the here and now," she added. The Sinn Féin President also discussed Brexit and said it has brought the border and partition to the centre of the political agenda. "If the architects of Brexit still can’t agree what Brexit looks like, that’s their problem. It will not become Ireland’s problem," she said. Mary Lou McDonald told the packed auditorium that Sinn Féin is committed to genuine reconciliation and said a new Ireland must be one in which unionists feel at home. She also reiterated her support for families campaigning for truth about the the deaths of their loved ones in the conflict and criticised the British government's blocking of funding for legacy inquests. The Dublin Central TD also said Sinn Féin is committed to being a party of government, north and south. "Michelle O’Neill stands ready to lead our team into Government. We need partners who will legislate for the common good, not on the basis on personal prejudice or religious fundamentalism," she said. Turning to Sinn Féin in government in the south, the party leader said; "I want to lead this party into a progressive government in the south. "I want to do that from a position of strength, a strength derived from the support of the people." Mary Lou McDonald also used her speech to set out that tackling the health service crisis in the south will be a priority for Sinn Féin, together with addressing the housing crisis. This year's Ard Fheis voted to adapt Sinn Féin's healthcare policies on abortion. Mary Lou McDonald told delegates that following the repeal of the Eight Amendment in the south that the north would be next. "This Ard Fheis has voted to decide party policy and we now move forward together, united in our determination to see the necessary legislation passed without delay. That is our duty to all the women of Ireland. Change is coming. There is nothing to fear in that change. And let me say this loud and clear – the North is next," she said. The Sinn Féin President explained that women must be treated with full equality in the new Ireland. "One hundred years ago, women secured the right to vote. A century on, we carry their torch as we work for: A new Ireland where women are safe. "A new Ireland where women are trusted. A new Ireland where women are equally paid. "So sisters of Ireland, Mná na hEireann; Let’s keep our expectations high. Dream big and plan for success," she said. Concluding, the Sinn Féin leader called on everyone to get involved in shaping the new Ireland. "There is a place for everybody on this journey. There is an equal place for everybody in a new Ireland. Ireland is no longer simply orange and green. Ireland is a rainbow of identities and cultures. "A place where diversity and difference can beembraced. Ireland is changing. A new and better Ireland is emerging," she said.